Moderator Spotlight is our way to show our appreciation to distinguished/enthusiastic SAP Community moderators. 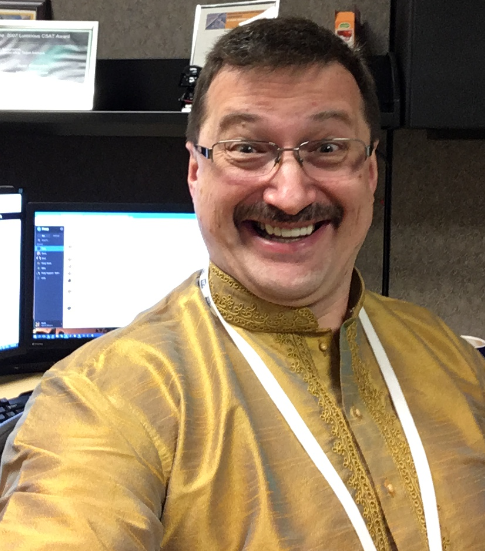 Denis Konovalov has been selected for this quarter’s Moderator Spotlight as he is a very diligent and caring moderator. Denis is a moderator for SAP BusinessObjects and Business Intelligence Platform tags. As you will notice below, I’m trying out a whole new concept for the moderator spotlight blogs/series, different than our traditional approach. Instead of conducting an interview with the moderator, the new concept is all about an open discussion between the moderator and me. This approach will allow us to break the boundaries of preset questions and enrich these blogs with meaningful insights touching the most important topics in the community. What’s great about a conversation is that you know how it starts but you never know where it could lead to. Moshe: When did you become a moderator? Denis: It was about 2-3 years ago, when SCN switched from SDN, I think. Moshe: And why did you cause yourself this pain :D? Denis: Well, it is a long story. I’m part of SAP Product Support team, and we have ongoing projects to improve the service we provide and to reduce the number of Incidents created by SAP customers. For me, that meant giving customers information they need to help themselves. Forums seemed to be the right place and we could achieve our goals successfully in SDN. 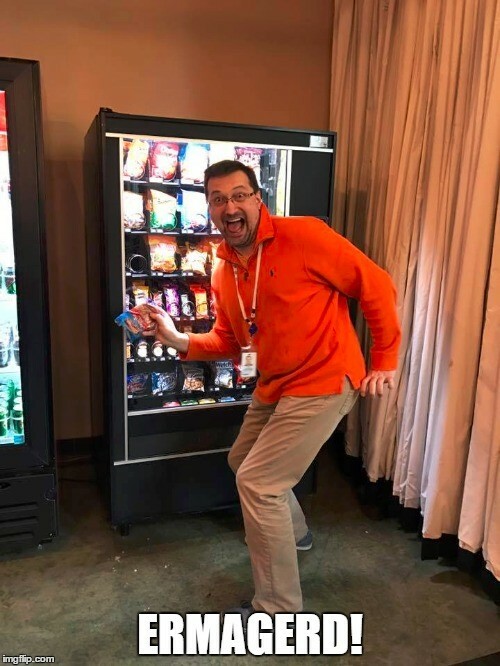 Then it was replaced with SCN and things didn’t go so smooth in the beginning, so when a call for moderation came, I thought – maybe I can influence how the SCN evolves while helping answering questions as usual. What do you think about the new community that was just recently launched? Moshe: :-O And how is the experience since? Did it change? Denis: Since then, and mostly due to the very hard work of the community dev and managing team, I started to warm up to the new platform. Moshe: That’s nice to hear. Denis: The question I have is – how was it possible to release the new platform in the state it was at launch? It appeared that even simple QA was not properly done, not to mention all the missing functionality. Moshe: When launching such a big project you will always have features and things you want to add. We believed that the platform was good enough at launch but we knew that we had a lot of work to do ahead of us, like Gali shared in her blog close to launch. Also, there is a saying that there is nothing better than experience to know what’s best. I believe that many of the important lessons we learned since launch would have not been possible without a hands-on experience. We know that the community wants faster improvements and we are doing our best to get there. But like every project, we have limited resources and we have to prioritize. Currently our number #1 priority topic is navigation but at the same time we keep improving the Q&A platform and other parts of the community (e.g., improving Q&A UI to better educate people how to use it and the difference between comments and answers). And soon we will be sharing our road map for the rest of 2017 and whatour priorities to work on next are. Moshe: What do you think is community’s current most critical issue? Denis: I think the tagging is the number one issue right now. They do not appear to be community building and are still hard for a lot of users to locate and properly use. Denis: The part we miss the most is the community spaces, like summary pages for a product or topic, where all related materials (blogs, Q&A’s, archive, announcements) are located, so users only have to remember one page. Moshe: I see. From a moderation perspective, what do you think are the most important guidelines for users to follow when using the new platform? Where do you want to be in 10 years from Career perspective? 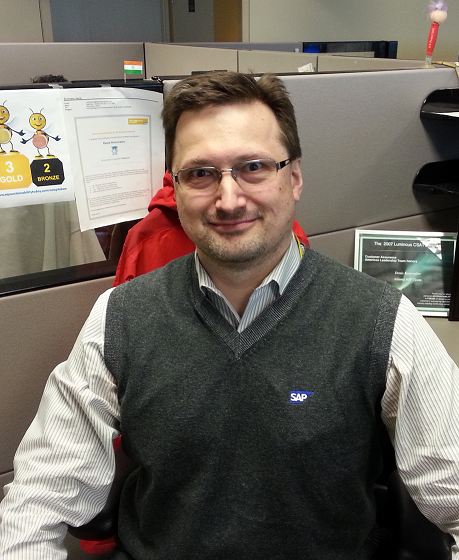 Moshe: I’m very fortunate to be working for the SAP Community team. It combines my passion for working with people, an opportunity to be innovative and utilize my project management skills and experience, while being responsible for the community’s Q&A and moderations services/platform. Denis: My career dream is to have a career. I like what I do now. I love detective work that goes into solving customer issues. Ideally though in 10 years I hope to retire and be on some island with a cocktail in my hand. But more realistically – I’ll be doing something along the same lines, maybe more customer facing. Moshe: From fun perspective, what are your hobbies? Denis: I like reading Sci-fi (not fantasy), computer games, though I wouldn’t call myself a gamer. I also really enjoy sports – Soccer and US football, and basketball. I don’t play much these days due to bad knees, but enjoy watching. Go Atlanta United (new soccer team in Atlanta)! Moshe: What is your 1# recommendation for new members in the community? Denis: For the newbies in my area/tag – don’t be shy to ask questions and don’t be afraid to explore and research. Our TAG touches on every IT technology and products available, there is always room to grow and things to learn. Denis: Moshe, question to you – how do you manage to stay positive and not give up when all you hear from us are complaints ;)? Moshe: Good one! What I like about our community is that it feels like family. It reflects in many ways. Like with my own family, when things are tough I don’t give-up. I just breathe deep and try harder. We have great people working behind the scenes on improving the community but we can’t do that without ongoing community feedback. I think silence is a lot more frightening than valid criticism/feedback. Speaking-up is caring. So, I actually want to encourage all community members to continue to “complain”/share feedback. Of course, I wish we could follow-up on all requests and to deliver things faster, but we have many tasks on our plate so we need to prioritize. As I mentioned in the intro this was pilot for a new format for the moderators’ spotlight. I hope you enjoyed it. Please share your feedback if we should continue this way in the future via the comments section. And of course, thank you Denis for being such a diligent moderator and for taking the time to participate in this experiment. Congratulations Denis! I like the new format Moshe, I think the questions going back and forth adds a nice flavor. This is so well deserved, Denis has been a pillar to the community for as long as I have been around. He’s always so helpful even if he does tend to spoil movies for me. Boaty – it’s the little things in life !! Thanks !! Congratulations Denis Konovalov. You look so different in Kurta! Thanks for an entertaining interview. The back and forth kept my attention. And Denis, you really did deserve the honor!